This was one of my favorite books of 2017. 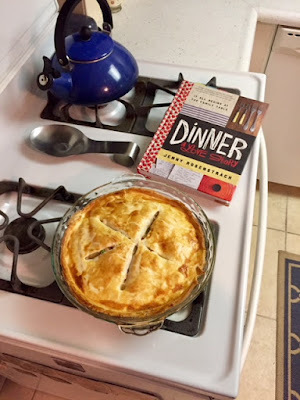 Jenny created a blog with an emphasis on making family dinners a priority. This book is the culmination of that project. I had never read her blog, but you definitely didn't need to. My favorite thing about this "cookbook" is that her personal stories and experiences are sprinkled throughout it. You feel like you're getting to know her as you read about her recipes. I love how simple and straight forward most of the dinners are. Her philosophy is clear: use good ingredients and make food you love and your idea of what "dinner" should be will change. So far we've tried three of the recipes and they've all been great. We made the chicken pot pie, the arugula and prosciutto flatbread pizza, and the kale, white bean, and sausage soup. I love that there is room to get creative with her recipes. If you know you love a certain ingredient, toss it in the soup or on the pizza. You don't have to worry about messing it up. The book has already gotten me excited about meal planning again. I've bought the ingredients for some of her other recipes (pork ragu, creamy tomato chicken, and tomato and white bean soup) and can't wait to try them out. Jenny includes lots of tips for getting kids to eat good food, which was so helpful! If you've read this one, let me know if you've tried any of the recipes! This place is amazing! This fall I visited the American Writers Museum in Chicago and I was so impressed. The museum had so much to see and was completely interactive. There was a children's section that featured Goodnight Moon, Charlotte's Web, and Dr. Seuss. Any young readers would be thrilled to see their favorites. There are beautiful quotes from authors decorating the walls. There are musical sections. When I was there, the entire Kerouac scroll was on display. I easily could have spent half a day there exploring the whole place. Unfortunately, I was attending a conference and so I only had a few hours, but I'm so glad I took the time to visit on that quiet Thursday afternoon. 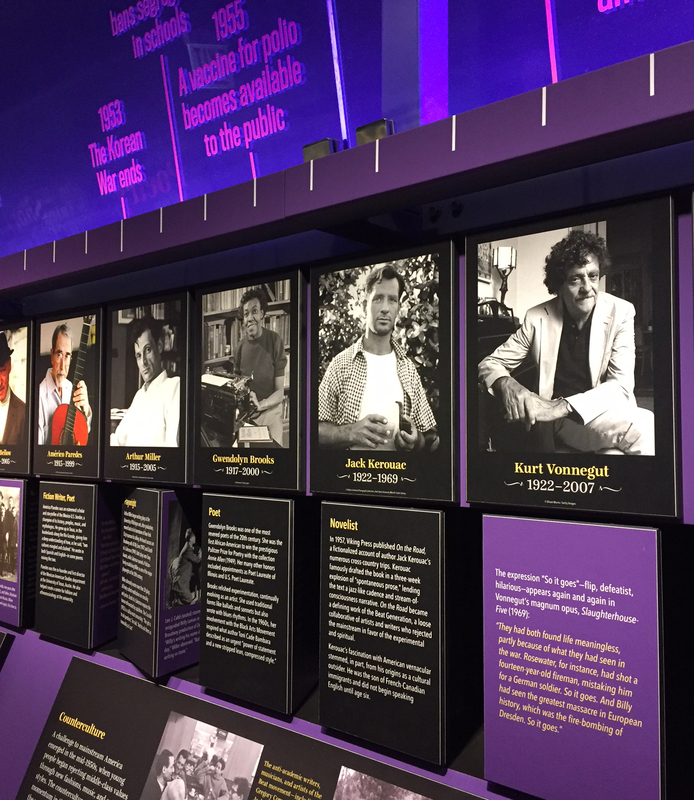 One of the main area is a giant timeline of American authors. It's broken up by different periods and includes details about what was happening during that time (like the Civil War or a medical advancement). Make sure you turn the text block beneath the author photo for more info. I didn't realize they turned until I was halfway down the hall. I loved discovering new authors alongside old favorites. Seriously such an incredible place to visit. If you're in Chicago, even for a day, I hope you'll stop by. It's right downtown and worth every second you spend there!